It is IP week and for IP data geeks like me, China is publishing huge amounts of data in a short period of time. The biggest challenge isn’t collecting the data, but in understanding what the data says and doesn’t say. 1. 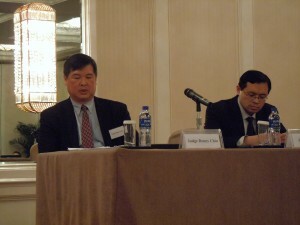 IPR Cases Continue to Climb, Foreigners Continue to Play a Small Role. The courts throughout China received 133,863 cases in 2014, and adjudicated 127,129 cases, increases of 19.52% and 10.82%, respectively. Much of the increases were due to increases in civil copyright cases and administrative trademark cases. Patent infringement litigation filings increased to 9,648 or 4.93%；trademarks decreased to 21,362 for a decrease of 8.21% and copyright increased to 59,493 cases, or an increase of 15.86%. Technology contracts increased to 1,071 or an increase of 12.86%；anti-unfair competition cases (which include trade secrets) increased to 1,422 (of which there were 86 civil antitrust cases) with an increase of 9.22%. Filings of second instance appeals increased to 13,760 cases, or by 15.08%. Foreign related civil cases increased by a meagerly 0.11% to 1716 cases, or are now a 1.8% of the civil IPR docket, down from last year’s 1.9%. Hong Kong/Macau/Taiwan cases dropped to 426 cases, or by 11.8%. Foreign-related administrative cases, which principally consist of appeals of patent and trademark office decisions to grant or deny patent or trademarks, showed a dramatic increase, to 9,918 cases filed and 4,887 adjudicated, with a jump of 243.66% and 68.46% respectively. Patent cases declined 11.67% to 539. However, new trademark cases increased by 330.59% to 9,305, an increase of 330.59%. There were also 12 copyright administrative cases filed, and 62 administrative cases of other types. There was overall an increase of 70.5% in foreign related administrative cases (including Hong Kong, Taiwan and Macau) to 2247 cases. Foreigners represented 45.77% of the total administrative docket. New criminal IP cases filed in 2013 totaled 11,088, an increase of 18.83%. Appeals numbered 573 cases, a decrease of 13.44%. As I noted back in December, the Beijing IP Court continues to be the most important court for foreigners. In addition the court was facing an “explosion” in trademark civil litigation, which is re-directing the courts resources. In the past declines in patent administrative litigation, such as occurred in 2014, have been associated with the busy dockets of the court which has resulted in low “reversal rates” by the courts due to the amount of time needed to properly reverse SIPO. This may indeed be the current situation. 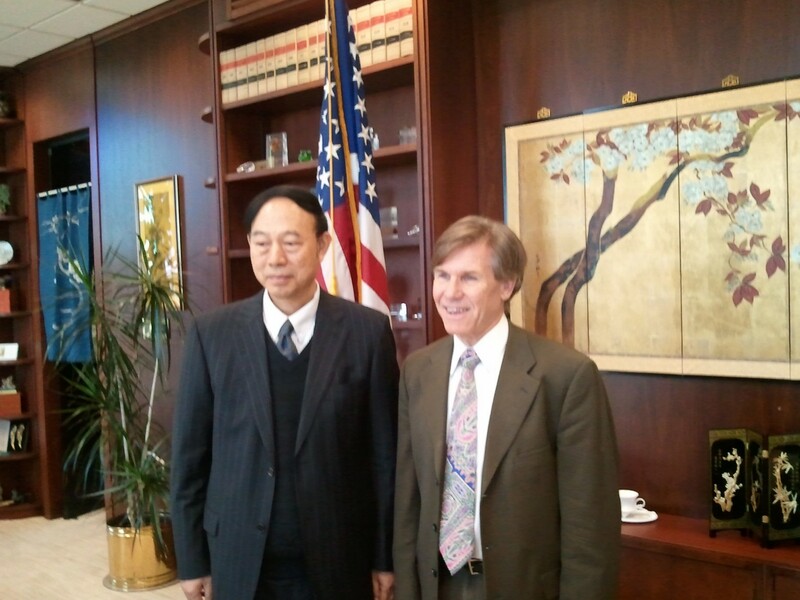 I recently heard Chief Judge Su of the Beijing IP Court talk about the busy docket his court is facing. I suspect that the rapidly increasing trademark docket has resulted in the Beijing IP court focusing on disposing of its trademark docket, as SIPO reversals are more time consuming. This may have resulted in a decline in patent administrative litigation. In any event, the decline in administrative appeals to the courts in 2014 is not attributable to any decline in patent filings, which increased by 12.5% in 2014 to 928,000, or any decline in civil patent litigation, which as I noted, increased as well. I am waiting for more specific data on civil or criminal trade secret cases, as the summaries I have read do not break out trade secret cases from other anti-unfair competition law cases. As in past years, foreigners continue to play an important role in administrative IP litigation while their role in civil IP litigation continues to be a small percentage of a large docket. The growth in criminal IP cases, however, also suggests greater opportunities for rightsholders and foreign governments to cooperate on IP cases, including transborder IP cases. Here’s a link to the 2014 White Paper on the WIPO website (中国法院知识产权司法保护状况 ).